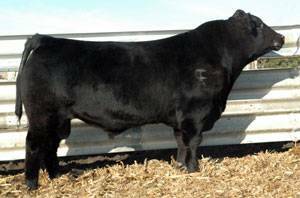 Overload was bred by Vermillion Ranch, MT, and was the exciting $20,000 high seller at the 2006 Deiter Bros. Sale, SD. He posted a 119 YW ratio and had a 14.9" REA. Overload is an extremely stout and heavily muscled bull! He has 6 stars for GENESTAR.